Happiness has long been considered immeasurable and believed to be a subjective interpretation of a person’s sense of peace and well-being. A group of neuroscientists at the University of Wisconsin claim that happiness can be measured, and have proclaimed Matthieu Ricard, a 66-year old Tibetan monk “the happiest man in the world”, reports Smithsonian on Nov. 1. The group of neuroscientists measured the brain activity of Matthieu Ricard by attaching 256 sensors to his skull and asked him to meditate on compassion. The results were shocking. Ricard’s brain produced gamma waves, linked to consciousness, attention, learning and memory, that were “off the charts”. It also showed excessive activity in the left prefrontal cortex. This demonstrated Ricard’s massive capacity for happiness and low levels of negativity. According to the NY Daily News, Ricard says that anyone can be happy if they train their mind to it. “It’s a wonderful area of research because it shows that meditation is not just blissing out under a mango tree but it completely changes your brain and therefore changes what you are,” Ricard told AFP. The study also found significant changes in the brains of those who practiced meditation more than 50,000 times. Some changes were observed in the brains of those who meditated for 20-minutes a day for three weeks, suggesting that the effects of meditation build over time. 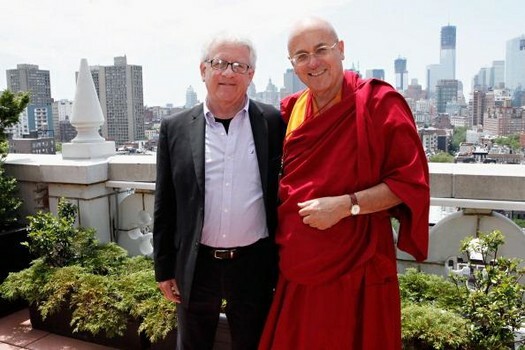 It appears that Matthieu Ricard has made great strides in understanding the science of the mind, and may have found the secret to true happiness.